Do you guys Zaycon? If you don't, oh how you must! I know I have had a couple of sponsored posts recently, but I promise this is a post you really want to read through. I have been a customer of Zaycon Foods for a long time and I believe in it as a mom, wife, cooker, and eater of good food. I highly encourage you to read the whole post (aka not just skim...we all do it) so that you can learn more about this AWESOME company, see first hand how I use some of the products I have ordered, and to get information for the most current food events. Just trust me. If you like food, you will want to read the whole post. For those of you who haven't heard of Zaycon Foods, or maybe have, but don't really know much about it, well let me fill you in. First let me say that gushing about this company is second nature to me. I have talked about Zaycon with friends, family, and at church functions...yes I am that lady. 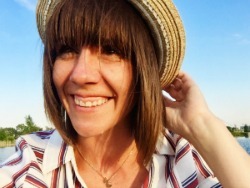 I gush because I believe in the company and the product they provide. I have ordered a lot of their products and I have never been unhappy. 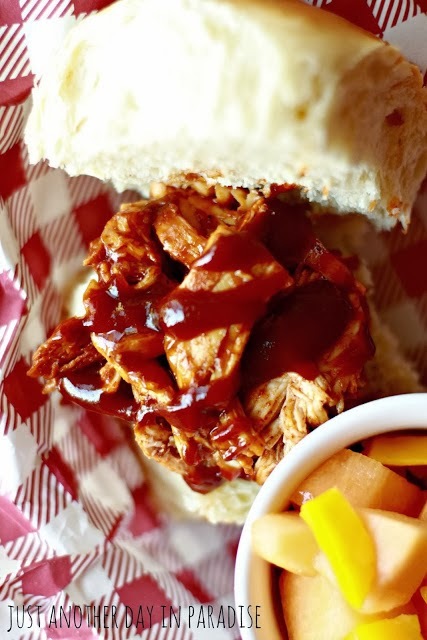 They provide fresh and high quality meats and fruit. Fresh from the farm to your table. Zaycon works directly with local farms who provide high quality product. This allows you to buy quality product in bulk for much less than buying that quality of merchandise at a store. AND let me just tell you, I personally don't feel that the quality I can get a grocery store even comes close to comparing with the product I get from Zaycon. They have many "events", the fancy way of saying what they are currently selling. I kind of like participating in anything that is an "event", don't you? Not every product is available all the time. They cycle through events. That is the BIG reason why you need to sign up with Zaycon (click on that link right there). When you sign up, they send you information about when events are happening. This allows you to stay in the know about when each event is. The chicken is their trademark event. The chicken that Zaycon sells is amazing. Amazing I tell you. This is the most popular purchase in our house. When the chicken event comes up, it is kind of like a holiday. Here at our house when the chicken event rolls around, we buy it up real quick. I have canned it. I store it easily in freezer bags. I cook with it all the time. I am gonna be honest with you guys, I can't handle other chicken now. This chicken is so good. On top of the quality, the price is the same if not better than the grocery store. The last chicken event was for $1.89 a pound. CRAZY! The chicken comes straight from the processor and is never frozen. The chicken breasts are huge and 100% naturally that way. No hormones or additives. Sometimes a chicken breast is large enough that I only store one per freezer bag. Each order is for a 40 pound box. We have been known to order two. Yes that is 80 pounds of chicken. I canned half and stored the other half. It was glorious. I can't say enough good things about this chicken. I will say it again, it has ruined me for grocery store chicken. Best. Chicken. Ever. They did just end a chicken event in some areas. I suggest that you head on over to Zaycon and sign up. I have given you a link that has you sign up and just lets them know that you heard about it from me (hence the referral bit). Once you sign up you can see what events are currently running and then you are signed up so they can alert you when other events start. We have ordered their chicken the most. However, like I said earlier, we have ordered many of their products. We love their peaches and pears. LOVE. 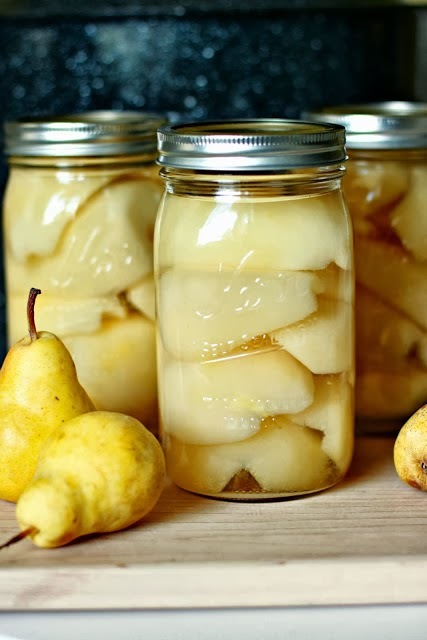 Last year we ordered pears and peaches and then we canned them. Well, we canned the ones we didn't scarf down. The peaches were juice dripping from your chin fantastic. The pears were just the perfect ripeness. Not under ripe like ordering in bulk can be sometimes and not over ripe like they had been sitting around. We also ordered bacon from them. This bacon was amazing. 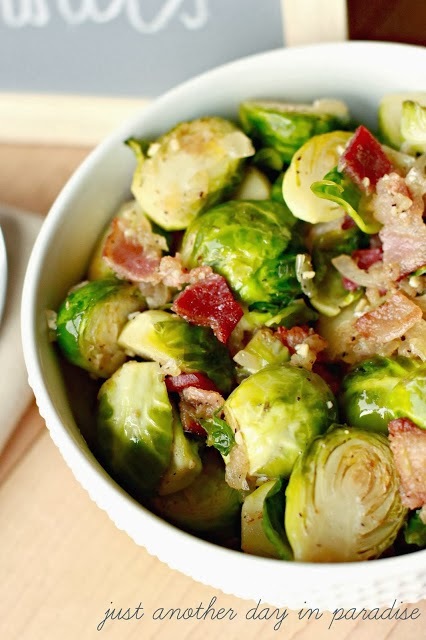 I am pretty confidant in saying this bacon ruined me for grocery store bacon too. The order of bacon is rather larger and so we actually split it with some friends. We froze what I didn't cook and eat right away. I kind of wanted to cry when we used our last package. Another product we have ordered is the 93/7 ground hamburger. I love this hamburger because it is lean, but still full of flavor. I actually prefer lean hamburger to ground turkey, so when I can get a high quality 93/7 ground hamburger at a decent price I jump all over it. The order is 40 pounds. We divided it up and stored it in freezer bags. It was perfect. The 93/7 ground hamburger event is actually going on now! I know I am sounding like a broken record, but seriously go sign up and order this awesome hamburger. We have also ordered the hot Gold Medal Beef Franks, the Pork Sausage Links, the Breaded Chicken Tenderloins, and the Natural Non-Homogenized Whole Milk. I think my next order might have to include the Carvemaster Ham, which is a current event right now! At $3.49 a pound I am not sure I can pass it up. I haven't listed everything they sell, just what I have ordered. Go and check out all of their products. Zaycon Foods really is an amazing company. 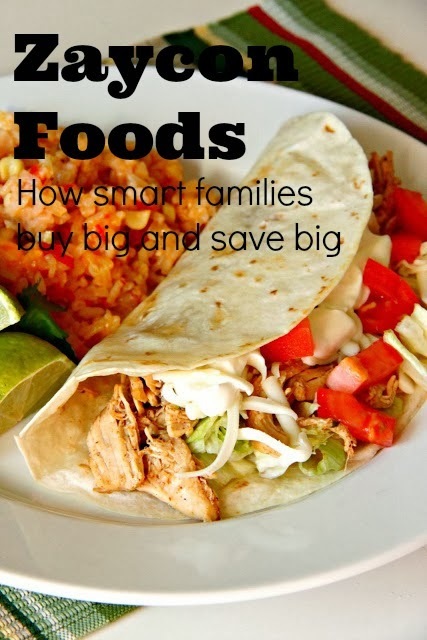 I really believe they have made it easier and more affordable for me to feed my family higher quality products. They provide a quality product that also tastes way better than anything you will find at a grocery store. I know they can do the same for you and your household. Whew! I really hope you hung with me during this entire post. Two "raise-the-roof"'s if ya did. Thanks for taking the time to learn about a company I am pretty stoked about. I was compensated for this post, but all opinions are mine. the quality product and service they provide. So it isn't a secret that I LOVE mason jars. I make an excuse to use them for everything. One of the best things to do with mason jars? That would of course be putting dessert in the jar. Mini jars...aka jelly jars...are the best because the whole serving is just for you. A whole dessert just for me? Yes, please. 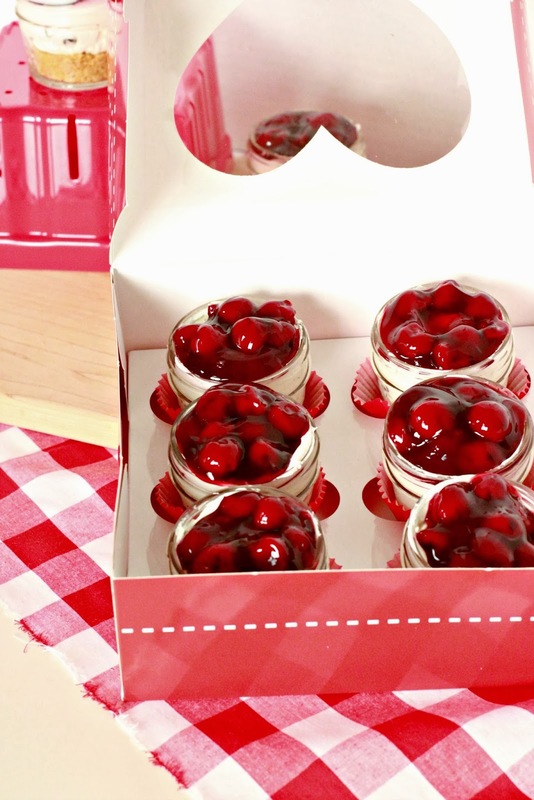 A few weeks ago for Valentine's Day I made these itty bitty no-bake cheesecakes for the boys' teachers. They were so easy to put together AND they were really yummy. That is a win-win in my book. I honestly can't decided what my favorite part of this dessert was. Well, of course, besides the jar. I can't eat the jar, so that doesn't count. I love cherry pie filling. I love cheesecake. I love chocolate chips. I love graham cracker crusts. You can see where my dilemma lies. Basically it was all my favorite part. The Hubs especially liked the mini chocolate chips with the cherry pie filling. I may or may not have also gotten a request for this recipe from Oldest's teacher. That is how you know it is yummy right? 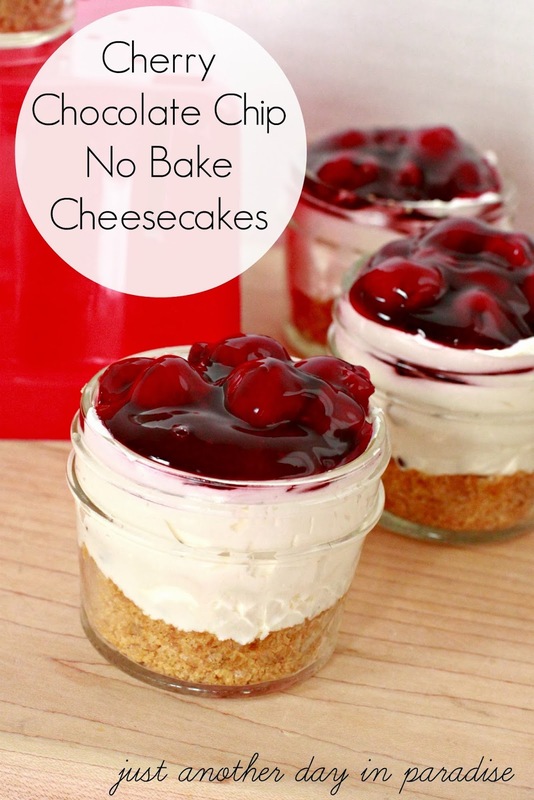 Well Mrs. Youknowwhoyouare (that may not be her name...just sayin'), here is the recipe for Cherry Chocolate Chip No Bake Cheesecakes just for you and for all my closest bloggy, Pinterest, Facebook friends. Make the crust by combining the graham cracker crumbs, melted butter, and sugar until completely mixed. Press 2-3 TBS worth into the bottom of each mason jar. Press down firmly in each jar. To make the filling, whip the cream cheese and sugar together with a hand mixer. Beat until smooth. Next, mix in the cool whip. Fold in the mini chocolate chips with a spatula. Spoon about 1/4 cup of the mixture over the crusts in each jar. You want to make sure to leave enough room in the top of the jar to still hold the cherry filling. 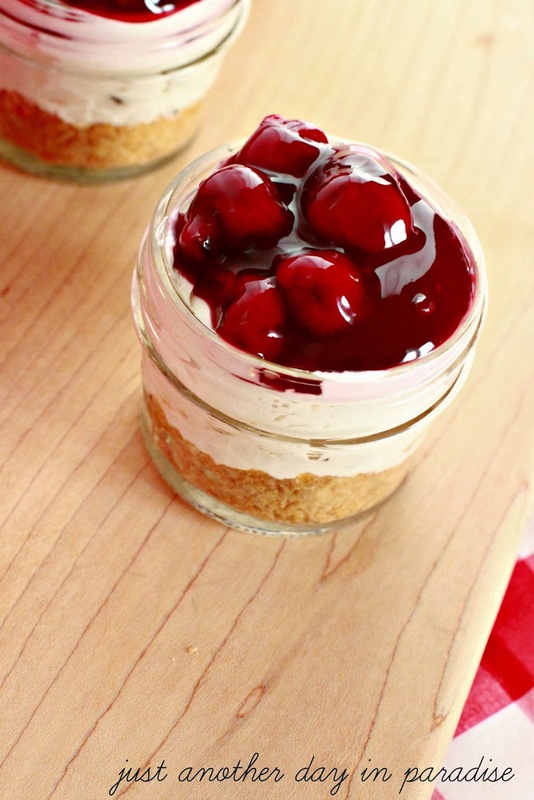 Top each cheesecake with a heaping spoonful of cherry pie filling. Some of you lucky ducks are experiencing spring-like weather. I will try really hard not to be too jealous of you while I sit over here in the arctic tundra of Idaho, where the sun does shine, but the temperatures are not influenced by that cheery sun. That was a whiny way of saying that I wish I were warm like you. I know I am not the only one still freezing my fanny off. P.S. wouldn't that be glorious if one could actually freeze one's fanny right off? Squats might become a thing of the past. I would gladly endure Winter with no whining if it got me ready for bathing suit season in such a fashion. I am cold. Really cold. Since it is cold outside, it is also chilly inside. Most of my friends can attest that we leave our house sub temperature chilly. Okay, well not really SUB, but still it is pretty stinking cold up in here. While our whole house is chilly, there is one room that is like beyond chilly. That would be Little Mister Bean's room. So our almost 2 year old has the coldest room in the house. So sad. We have tried a couple of things, but nothing really seemed to warm that room up. The Hubs had been trying to talk me into getting a space heater. Logically, I know they are much safer now than they used to be. I still just couldn't think about leaving one on in there. Plus, the whole reason we keep our house cool is to save on the electric bill, so running a spacer heater all day seemed to defeat the purpose. He kept talking about it and I was starting to waver. Then like providence I got contacted about testing out a space heater from Staples. First I was all like, "Staples sells space heaters?" Good to know. Then as I was chiseling off the ice from my fingers after rocking Bean to sleep, I realized this could be a very good thing. We went to Staples.com and started researching all of the options we had for space heaters. There were tons of them. TONS. The majority of them are all under $100 too. Bonus! After looking through all our options, we settled on this Optimus Fan Heater. We ordered it online since our local Staples didn't carry space heaters in the store. 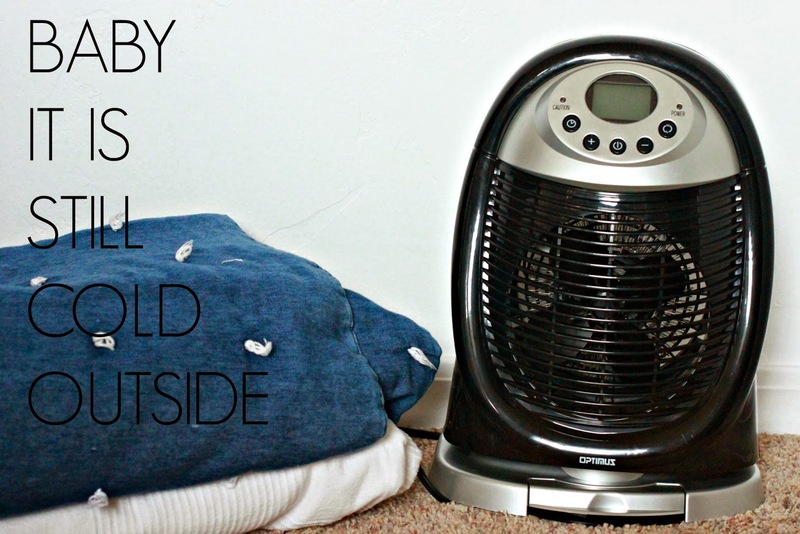 Ordering the space heater online was ridiculously easy and it was at our doorstep before we knew it. We have used it practically everyday. Practically, because we had one warm day recently, and by warm I mean in the mid 40's. I run it just for 30-60 minutes at a time to cocoon Bean's room in warmth. The extra warmth in his room has helped him stay asleep in the middle of the night. 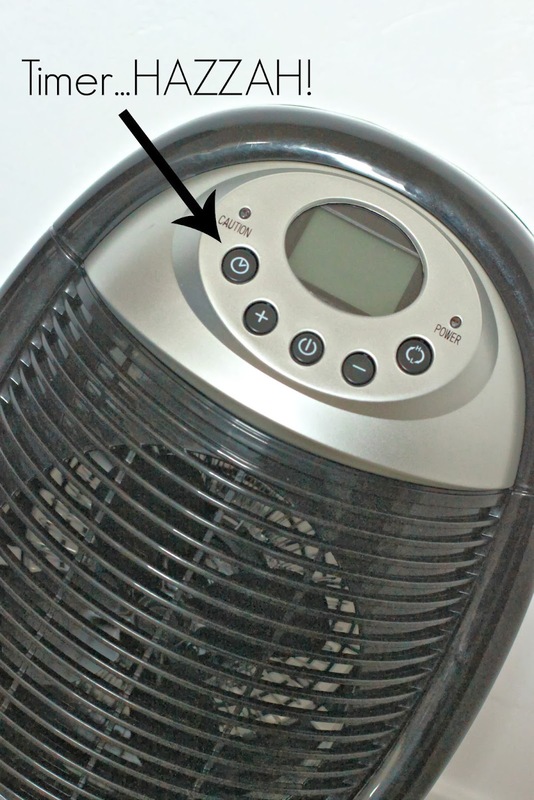 All of the safety features have really helped me have less anxiety with putting a space heater in his room. The only feature that I am not in love with is the LCD screen. Not because it isn't nice to know that temp, but because it glows bright enough it is like a night light, which we do not use in his room. In true MacGyver fashion we fixed the problem by...er..uh...taping a piece of paper over the screen. Yup, we are geniuses. Overall, this space heater has really helped Bean's room be not so chilly. I may have stolen it once or twice to heat up my tootsies as well. Are you in need of a little warming up and a trip to Hawaii just isn't in the cards? Well then, my friends, you are in luck. 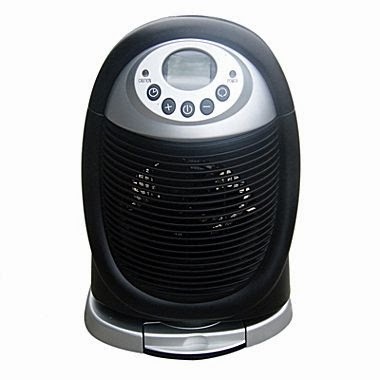 The lovelies at Staples are offering to give one JADIP reader any in stock space heater under $100. That is pretty awesome. Seriously. All you have to do is follow the Rafflecopter prompts. The giveaway is going to be a quick one. The giveaway will run from today through March 1st at 11:59 MST. Good luck on your quest to beat the bitter cold! Sorry I had to, Catching Fire does come out soon after all. Hehehe. I received this space heater from Staples and was compensated for this post. All opinions are mine. 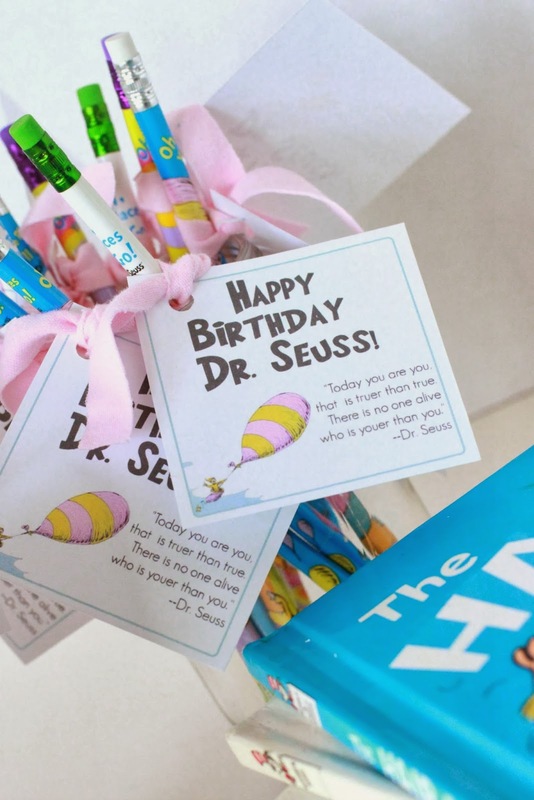 The very lovely Dr. Seuss is about to have a birthday. 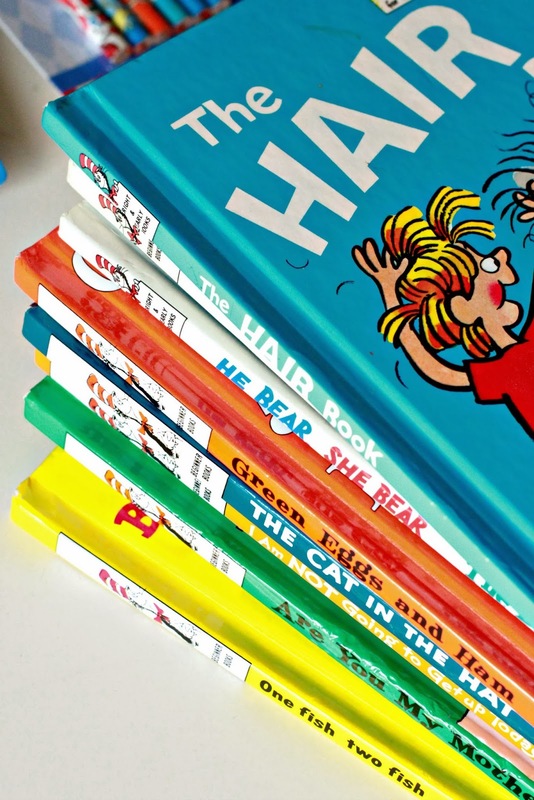 We love Dr. Seuss and we have a whole stack of books that are Dr. Seuss approved. 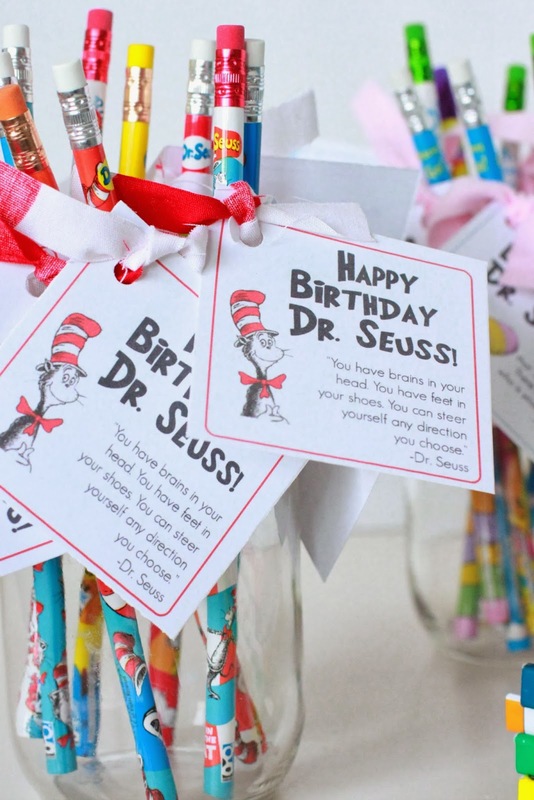 Last year to celebrate Dr. Seuss' Birthday we had a Seusstastical Celebration at our house. It was pretty fantastic. 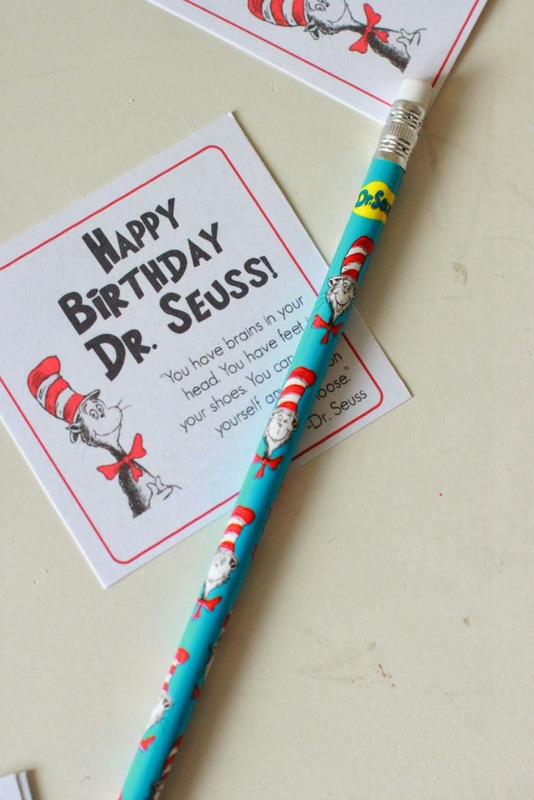 This year I wasn't sure how I wanted to celebrate Dr. Seuss' Birthday. 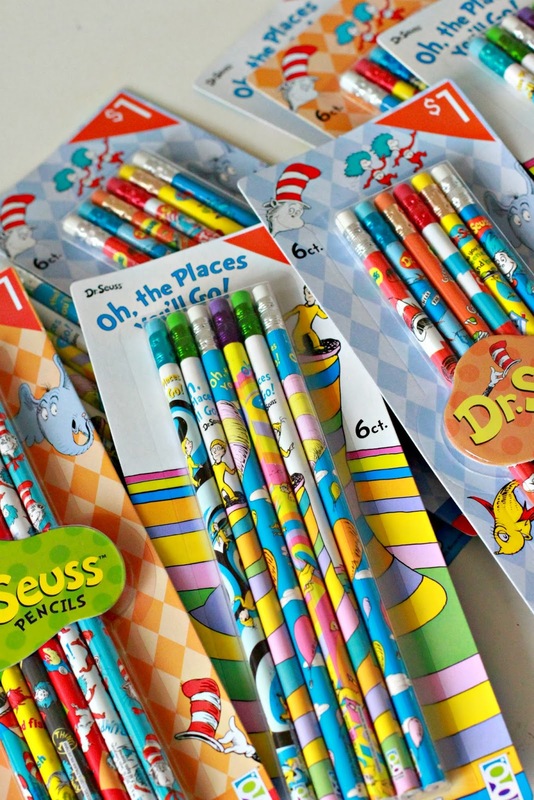 Then I found these delightful pencils in the Dollar Spot at Target. I grabbed several packages, I mean heck, they were only a buck a package. I thought it would be fun to have the boys pass out these pencils at school. I made a set of tags to go with the pencils. Naturally I used PicMonkey to help me make these tags. I made a printable available for download. There are a two different tags. You can download them HERE. 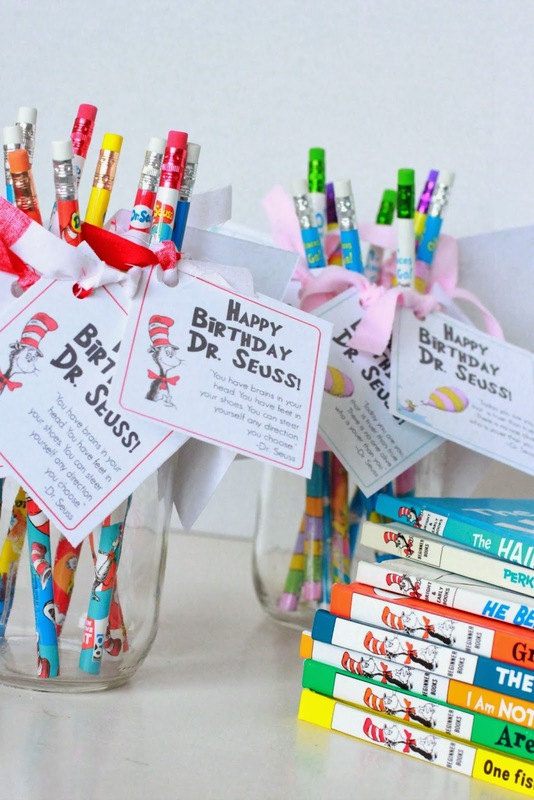 Tie the tags to pencils with scraps of fabric. 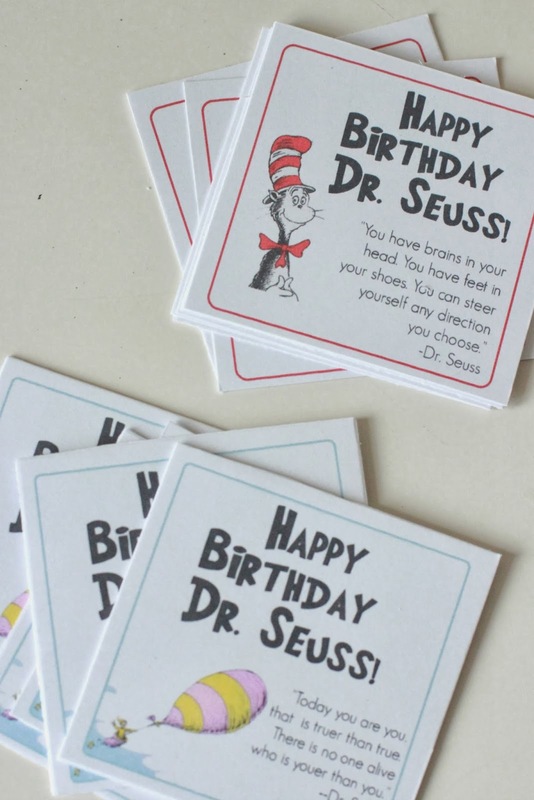 Easy as that and they are ready to hand out in celebration of Dr. Seuss' Birthday. 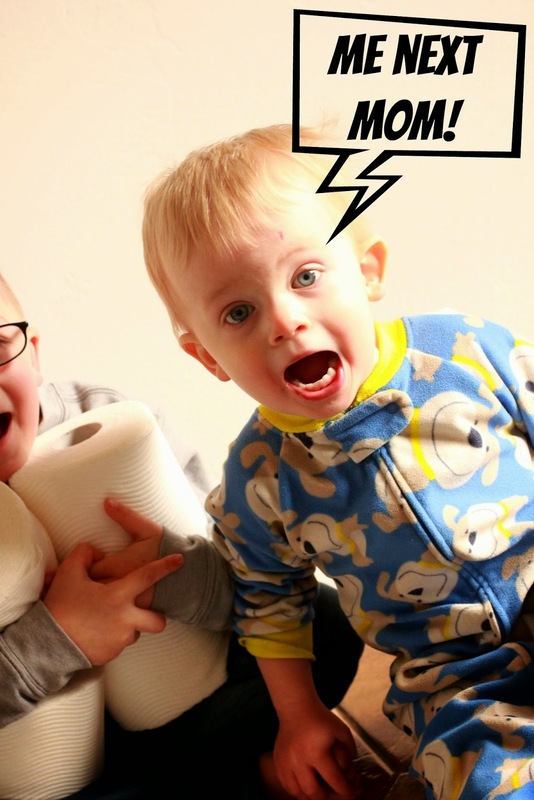 So your toddler is potty-trained, and has been for a while. The hard work is out of the way. You earned your parent potty training gold star. There has been underwear wearing, no accidents, and going to the bathroom in public restrooms. Yup. You have mastered all that is potty training and both you and your pupil have come out successful. Well except for that one thing. That whole number two issue. You know, what I am talking about? Right? You hear your all-by-himself-to-the-bathroom-toddler running to the restroom. You hear the door shut. A bit of time passes. The longer the time, the more you know to wait for it. The inevitable, "MOOOOOOOOOM!!! I went poop. Wipe my bum!" I immediately think, Oh that is okay. It will pass. Sighing, I go in because the inconvenience and/or foulness of the chore does not outweigh his need for a clean tushie. However, there comes a time when it is absolutely necessary that my potty-trained kid needs to be completely independent in the bathroom. I can't go to school with him after all. 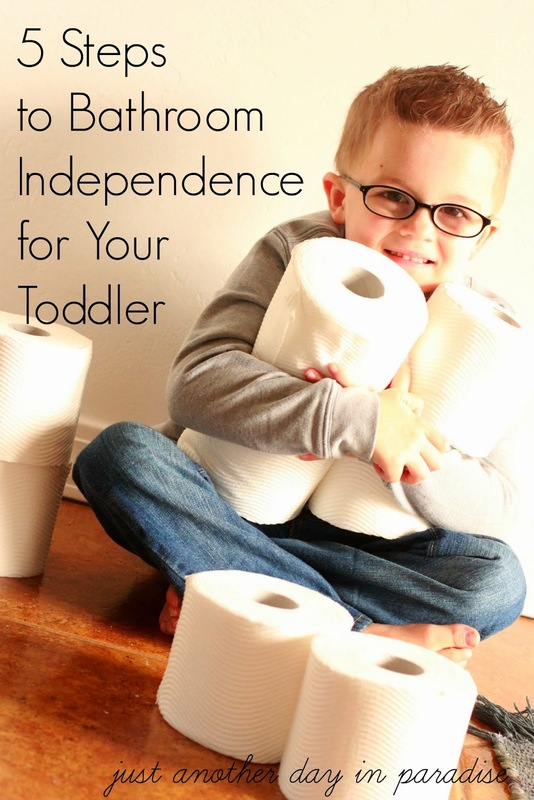 So the question is, how do I help my toddler gain independence in the bathroom? I came up with 5 pretty easy and self-explanatory Steps to Bathroom Independence for Your Toddler. 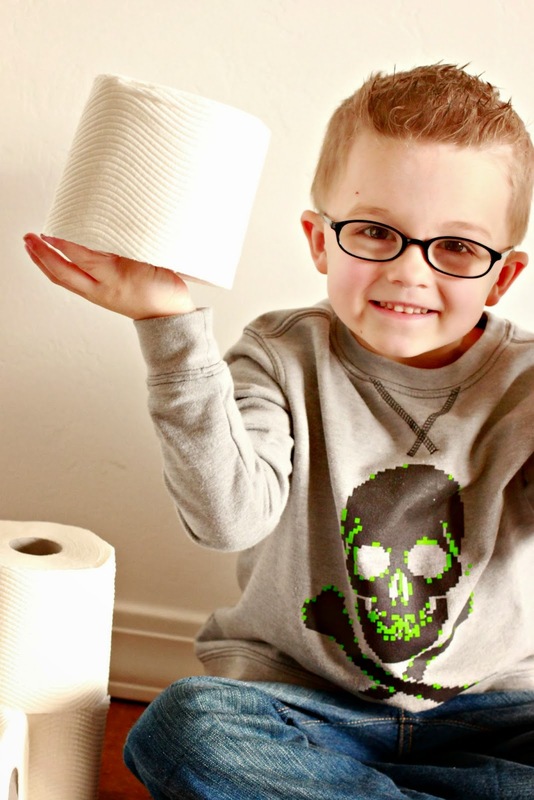 The first step is one you probably have already accomplished if your toddler is potty-trained. First thing you have to do is Teach Them. This definitely falls under Potty Training 101. The second step I think is one of the most important steps of helping them transition to big kid independent conqueror of the bathroom. The second step has to do with the tools you give your toddler in the bathroom. A TP (toilet paper) station if you will. For best success, your toddler needs access to the best bathroom bum cleansing products. Success for independence in the bathroom for my toddler had everything to do with the ease in which he could get clean. The moist Cleansing Cloths allowed my toddler to more easily clean his tush without help plus they are flushable. Can I get an AMEN?!? Then the Clean Care toilet paper just dries everything off making sure that little bum is clean and dry. 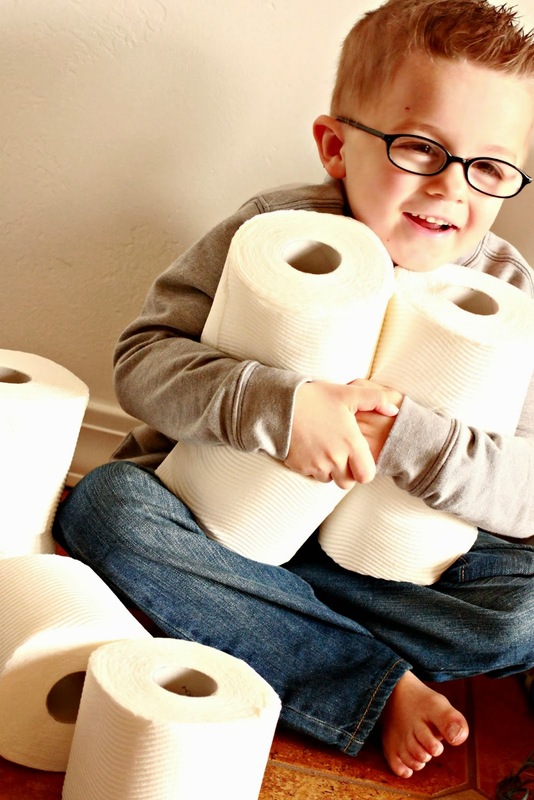 Having a TP Station equipped with both the moist Cleansing Cloths and the Cleaning Care toilet paper and within reach of the toilet helped my toddler have all the things he needed. This way he doesn't feel he needs to call out for me. 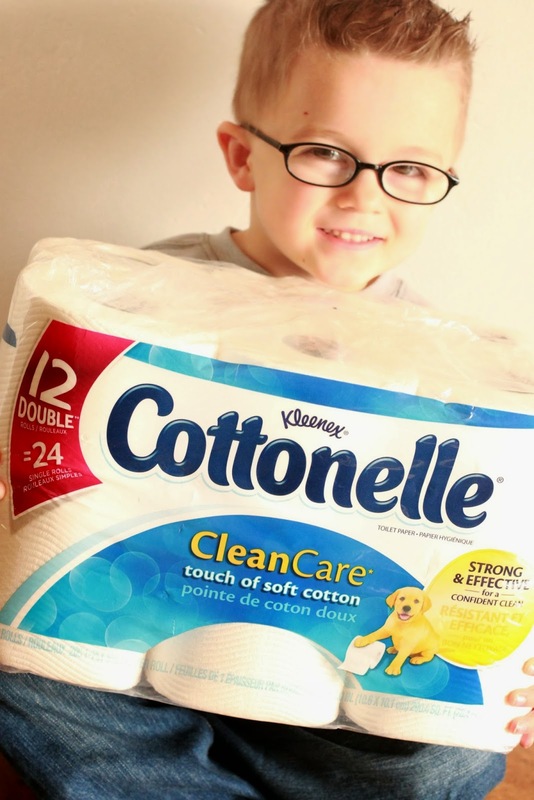 I really can't say enough about Cottonelle's Clean Care Routine line. Dream come true for this momma. The clean simply cannot be beat. Their Clean Care Routine line also helps all members of the household feel clean. Definitely a must for both the newly trained and er...the...uh...more experienced. Step Three is to allow a couple of Trial Runs. I call this the, clean-yourself-still-have-mommy-check-your-tush step. In step three they have their independence, but there is a little quality control check just to make sure. Snags are worked out. Tips given. Some reteaching done if necessary. In Step Four it is time to let go and simply Trust Them. Once you have given them the knowledge, the tools, and the time to practice they are ready to be independent. In other words, it is time for the Mom to let go. I know I worried about how clean my toddler could really get his bum. Sometimes that got in the way of me trusting him. Now with the help of the Cottonelle Clean Care Routine line, I can in all honesty say I do not worry at all that he is getting himself clean. The last step is an easy one. Step Five is to let them know they did a big job. To let them know they are like the most amazing of amazing big kids ever and that you are thrilled with this new found bathroom independence. Step Five is to give them the Thumbs Up for a job well done. 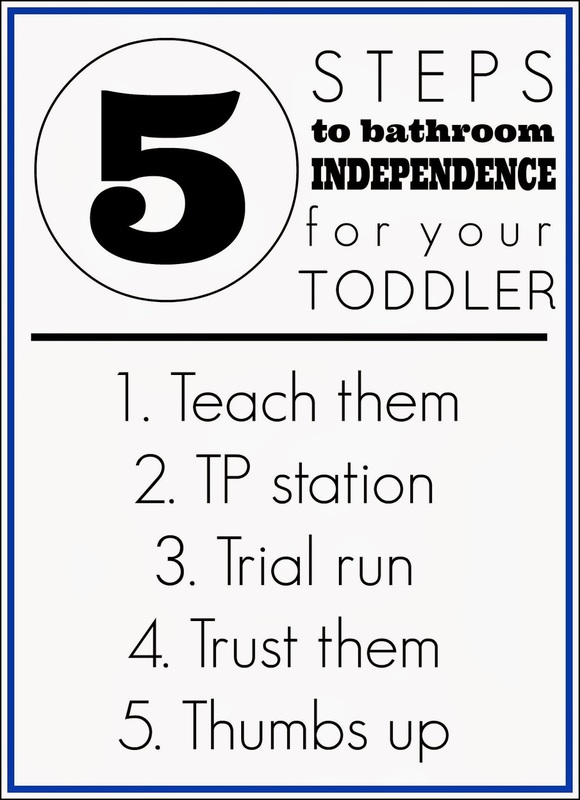 There ya have it, 5 Steps to Bathroom Independence for Your Toddler. 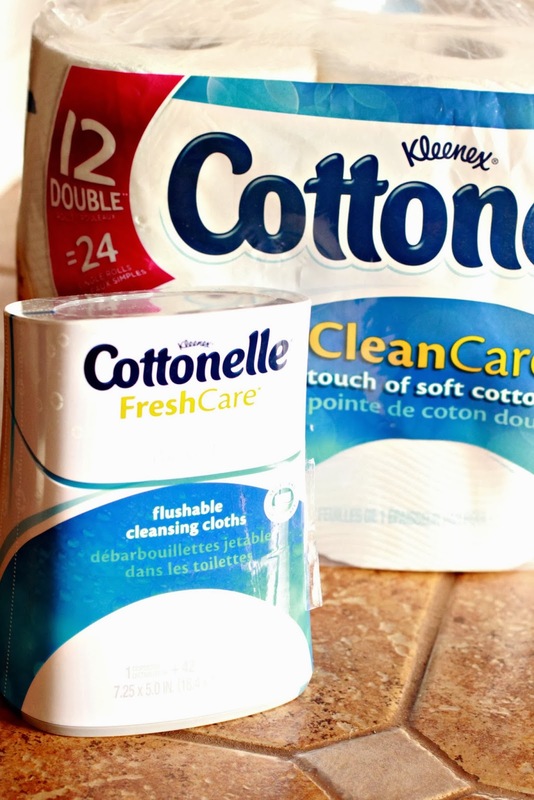 The Cottonelle Clean Care Routine line is a major player in these steps. --my very last potty training journey is about to begin. I for sure am going to go to Walmart to stock up on the Cottonelle Clean Care Routine line. You should too because, for the month of February Walmart is running an offer available when you buy both the Cottonelle Clean Care toilet paper and the Cleansing Wipes. You will receive a $5 Vudu (a movie rental system similar to Redbox) when you purchase BOTH the toilet paper and the wipes at a Walmart store. To receive the $5 Vudu credit, you simply have to take a picture of your receipt showing both items purchased. Then text or email the photo to clean@drvsusa.com. You will then receive a $5 Vudu movie credit. You can get more information by heading to www.drvsusa.com/cottonellemovies. Doing this Momma thing can be tricky sometimes. I am always grateful for fantastic products that make the day-to-day bits better. Thanks Cottonelle! "Dad is great. Makes us chocolate cake!" I love Bill Cosby. By the way, the above little jingle was from a Bill Cosby skit. Just in case you didn't know that and were perplexed over my sudden declaration of love for Bill Cosby. I watched The Cosby Show pretty regularly as a kid. Remember when nighttime TV was kid friendly? That was good TV. I really miss it. I think it would be rather grand to watch a TV show with my kids. A little Full House or maybe some Family Matters. Sigh. Good times. I know there are still some shows that are kid friendly, you know like Phinneas and Ferb. Still they are really hard to come by. This all started with some chocolate cake, a little jingle and some love for Bill Cosby. So basically what you really need to know is that this all started with chocolate cake. A Slow Cooker Chocolate Pudding Cake to be exact. A gooey, chocolatey, rich, and velvety chocolate cake to be more exacter (totally made up my own word). Which is all the more delightful because it cooks itself up in the slow cooker. Glory be. The ingredient list isn't too long. You probably have everything in your pantry, except maybe the Dutch processed cocoa powder. Trust me friends, you will want to use Dutch processed cocoa powder--don't use the regular stuff. I do happen to know from experience. The taste is drastically different. By different I mean it goes from inedible and trash worthy to glorious and dish me up the biggest serving possible please. I have said before that I am not a huge fan of chocolate cake. The Chocolate Sheet Cake I made a while back until now had been the only chocolate cake I liked. This of course is not including brownies, which I love dearly. Yes I just said I dearly love brownies, like they were my grandma. 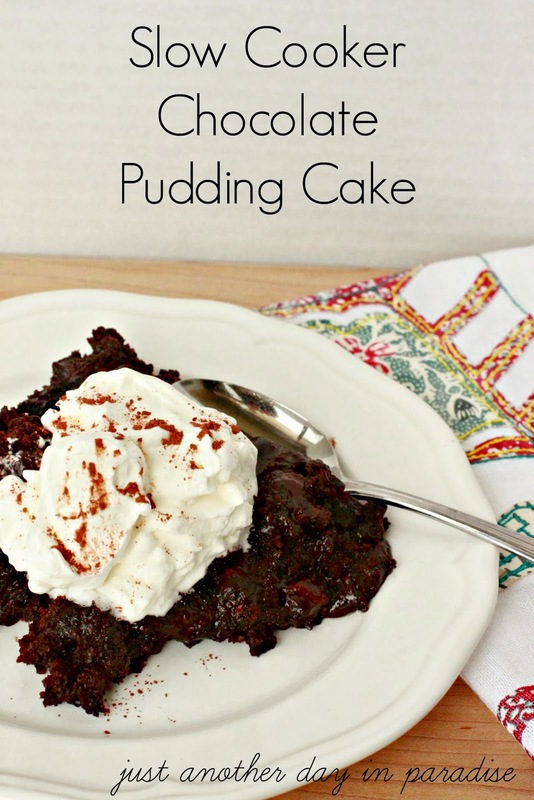 Now I can add this Slow Cooker Chocolate Pudding Cake to the Chocolate Sheet Cake. Both of them are good for completely different reasons. I will be honest, both of them remind me of different aspects of a brownie...which is probably why I love these cakes so much. Serve it warm. Serve it room temperature. Serve it cool from the fridge (that is The Hubs' fav). Basically just serve it up. You won't be sorry. Line the back side of the slow cooker with an aluminum foil collar. Make the collar by layering two sheets of aluminum foil that measure about 16" long. Fold over each other in thirds, so that you end up with a 6 layered foil rectangle measuring about 4" by 16". Press the foil collar to the the backside of the slow cooker. Make sure that the foil collar does not reach the top of the slow cooker. Spray with cooking spray. Whisk the flour, 1/2 cup sugar, 1/4 cup cocoa, baking powder, and salt together in a bowl. In a smaller bowl, whisk together milk, melted butter, egg yolk, and vanilla. This mixture might clump up a bit. That is okay. Add this mixture to the flour mixture, stirring until just combined. Fold in the chocolate chips. The batter will be sticky and stiff. Scrape the batter into the slow cooker and spread the batter to the edges. Mix the rest of the 1/2 sugar and 1/4 cup cocoa powder. Sprinkle the mixture over the batter in the slow cooker.Slowly pour the boiling water over the top. Do not stir. Cover and cook on high for 1 1/2-2 hours. Cake is done when the top looks a little cracked and the sauce is bubbling. Remove foil collar and let the cake sit for 10 minutes before serving. Top with a dollop of whipped cream if desired. What? Is it only a couple days from Valentine's Day? Seriously? Yeah, okay, so I know this. This was one of those posts that, although it has been done and even photographed for ages--like AGES, I tell you--I just didn't whip out a post. 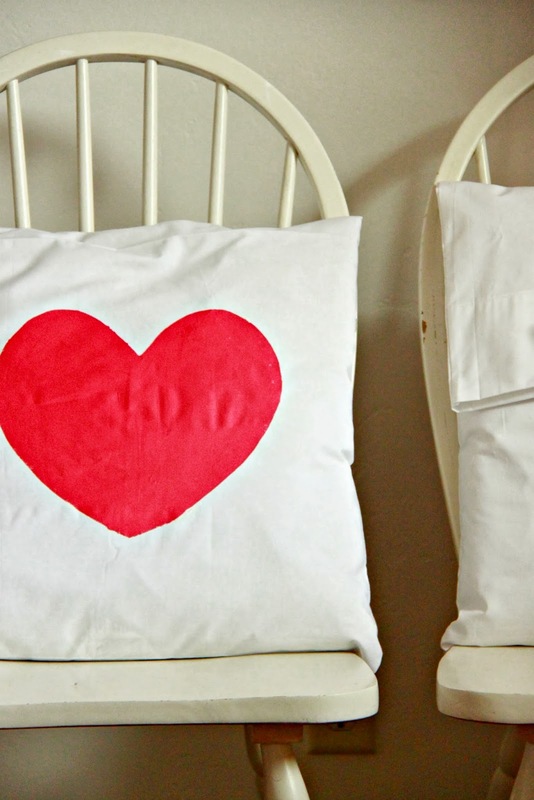 So today, I am sharing the how-to on these sweet, very simple Pillowcase Throw Pillows. 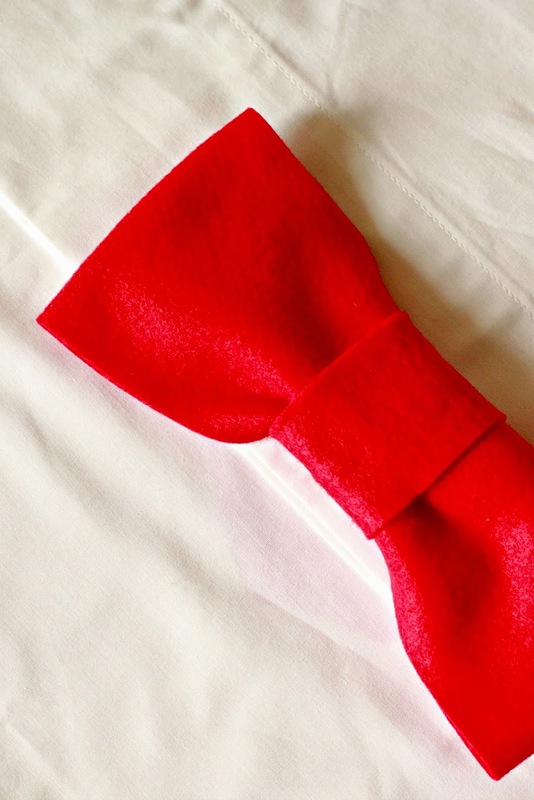 The good news is that hearts (and bows) are not just for Valentine's Day. The other good news, yep there is more, is that this simple throw pillow how-to can be altered and changed for other seasons or for general decoration. 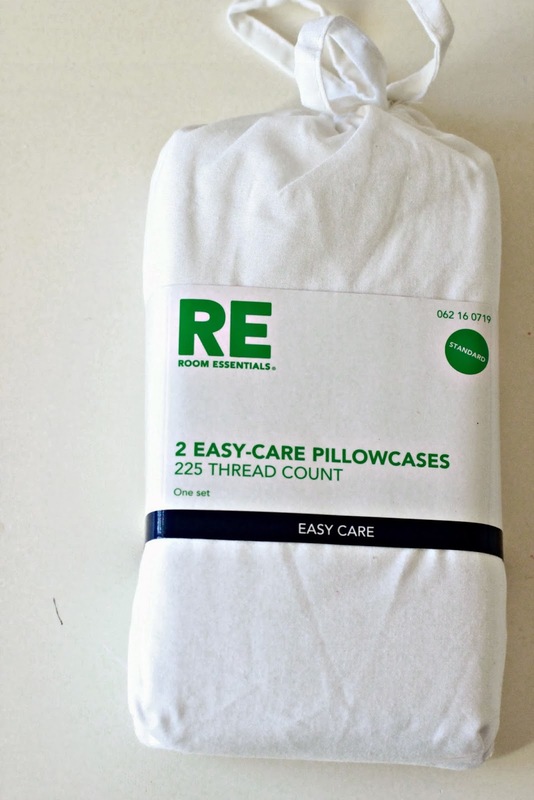 The possibilities for this Pillowcase Throw Pillow how-to is endless. 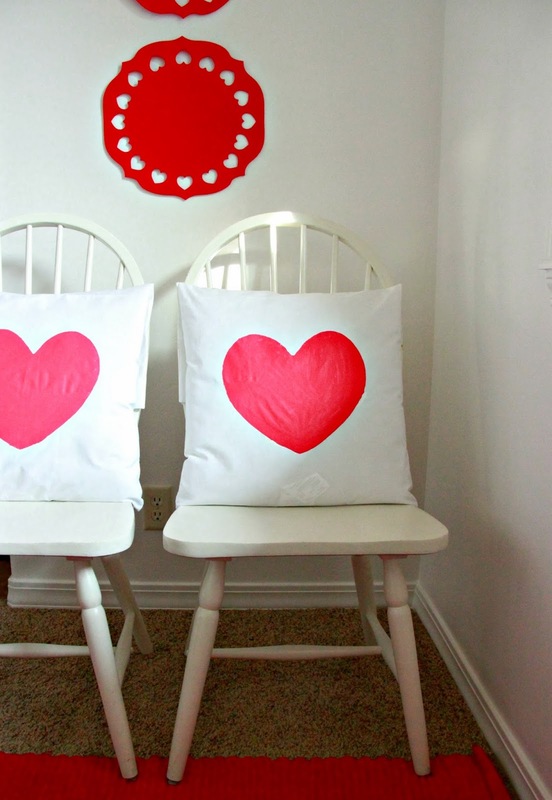 Between the heart stencil on the front and these adorable felt bows on the back, you are sure to make your sofa really happy with the addition of these lovely pillows. These pillows are practically sew free. 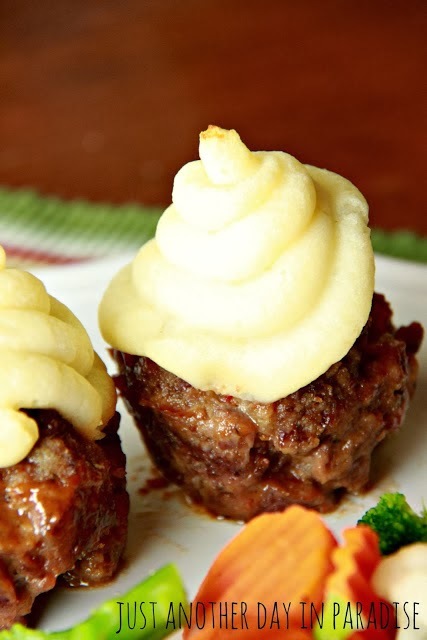 They are so very easy to whip up. 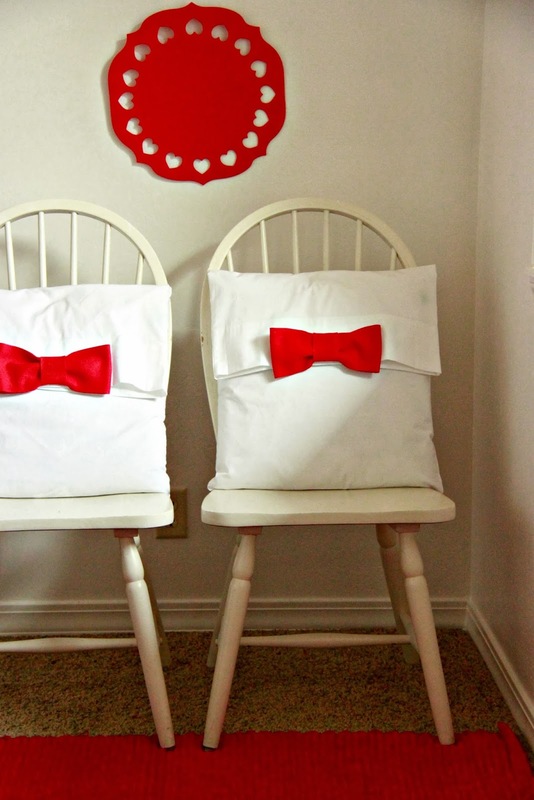 Take out the pillow cases and iron all the lines out of them. Fold the top over so the flap is 10". Iron the fold in place. 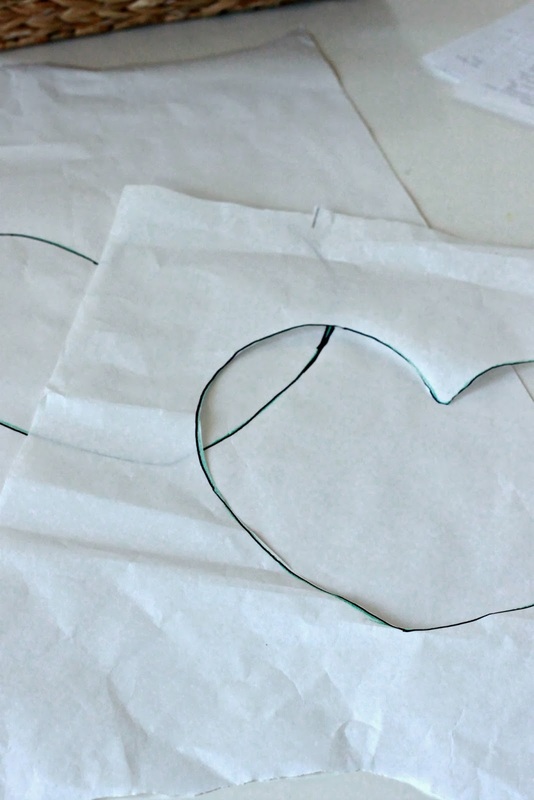 Trace a heart, or whatever shape you would like, on to the non-shiny side of sheets of freezer paper. Cut out the shape with an exacto knife. Iron the freezer paper onto the non-flap side of the pillowcase. Once the freezer paper is securely ironed on, place a piece of cardboard in the pillow case so the paint does not bleed through. Next, apply craft paint in a thin coat with a craft brush. Apply more coats as needed. Make sure not to get too heavy handed around the edges. Allow to dry for several hours, or cheat by drying the paint with a blow dryer. Remove the freezer paper. 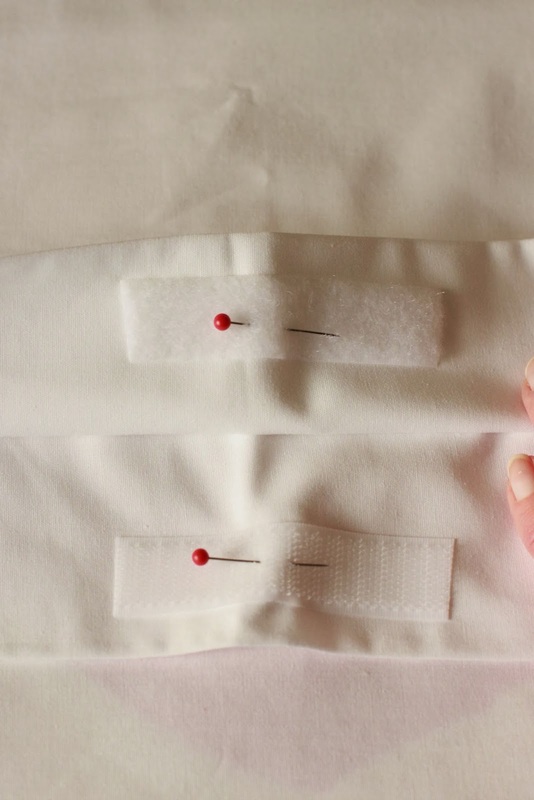 Sew the velcro in place at the top middle of the inside of the pillow case, so that it has a closure. Once the velcro is in place, it is time to make the bow. 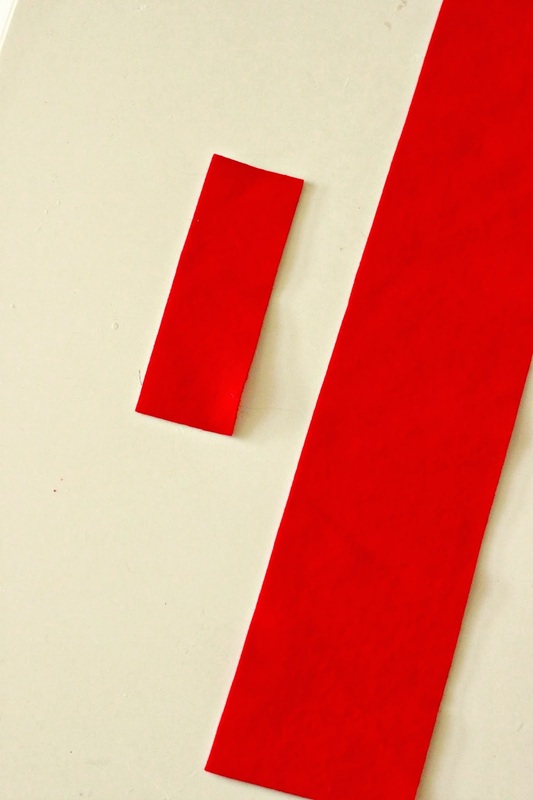 Fold the larger rectangle so the ends overlap. 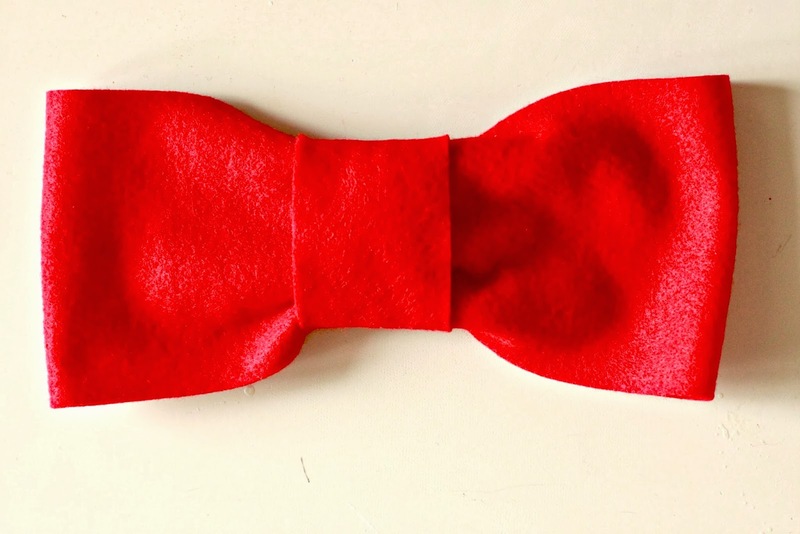 The bow should measure about 9" wide once folded. Sew up the middle. 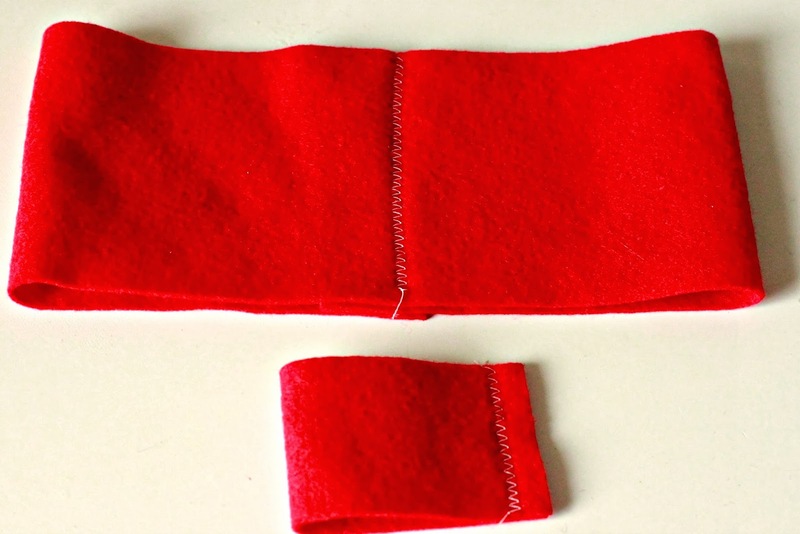 Fold the smaller piece in half and just sew up the outside edge. Turn the middle piece out so the seam is on the inside. Fold the large piece a little to put it through the turned out smaller piece. 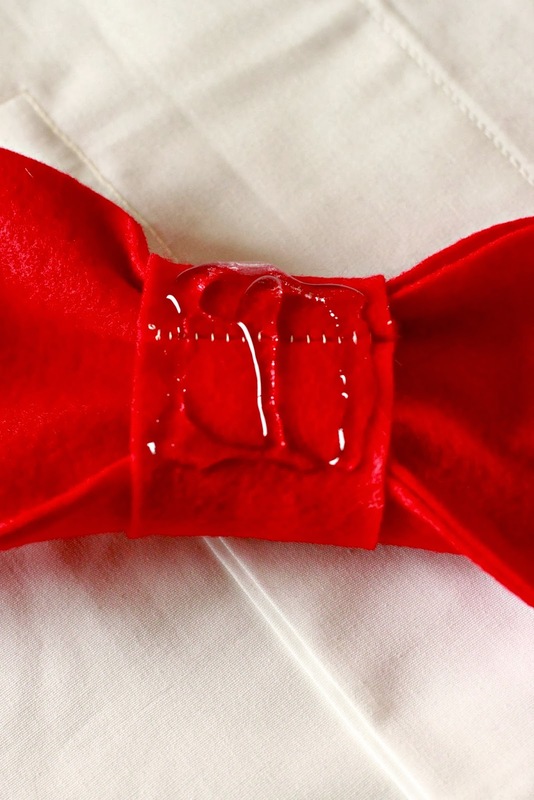 Arrange the bow and mold into bow shape. Make sure the seam for the smaller piece is in the back. 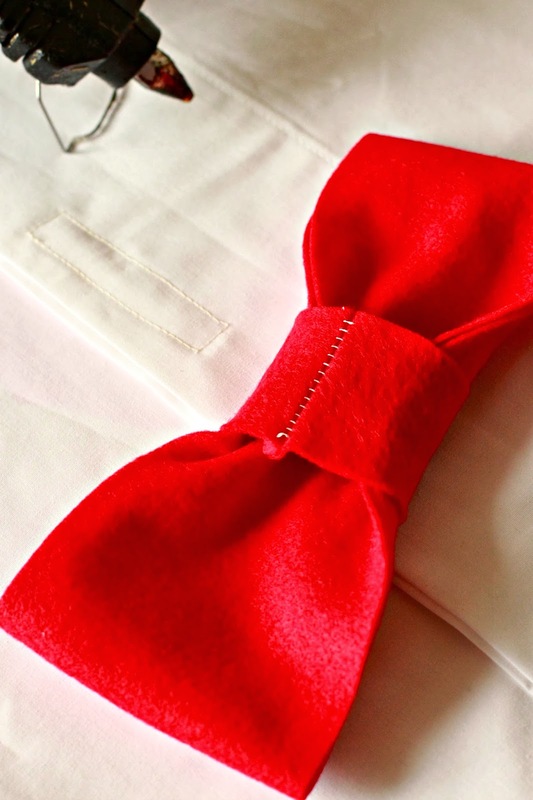 Attach the bow to the flap side, on the front, bottom, middle of the flap itself. Basically just over the stitches from the velcro you applied to the inside. Once the glue dries, insert the pillow form. 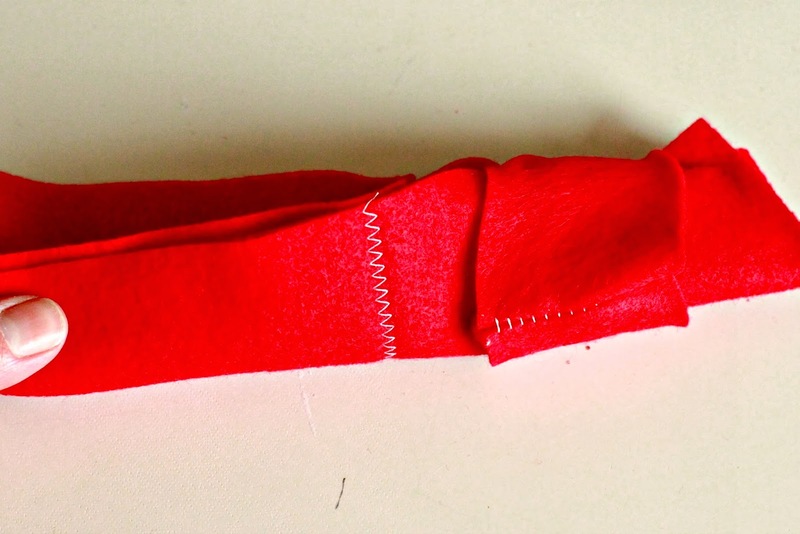 The weight of the felt bow will help the envelope flap stay down so there is no additional closure needed. 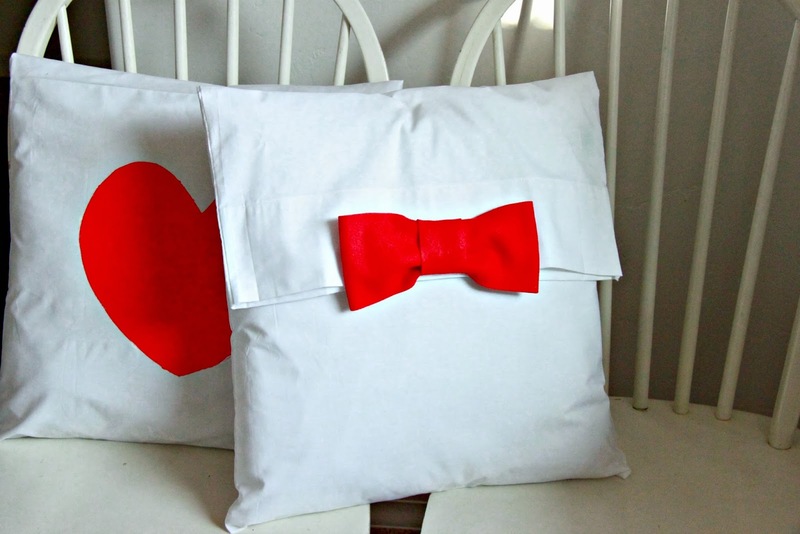 You can arrange the pillow heart out, bow out, or one of each. 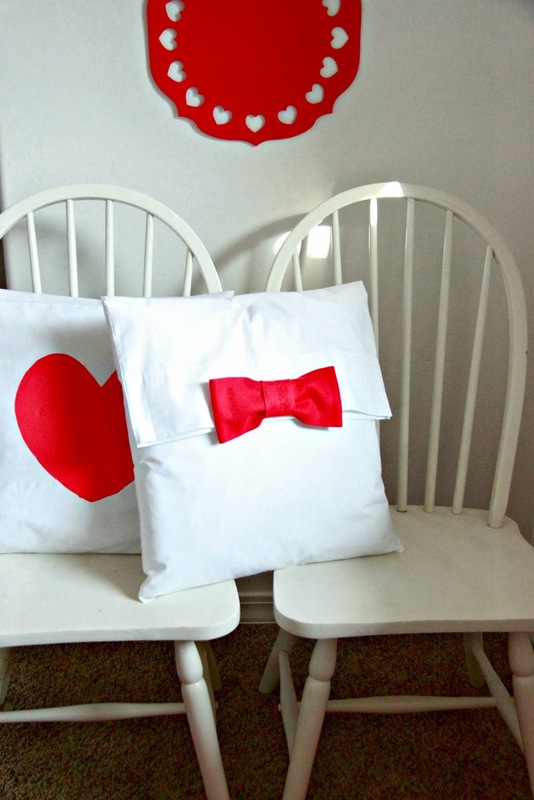 My favorite part of these pillows, just after the ease of the project of course, is that BOW. Eek. Swoon. I love that bow. Now I am trying decide in a house full of boys where else I am allowed to put bows! 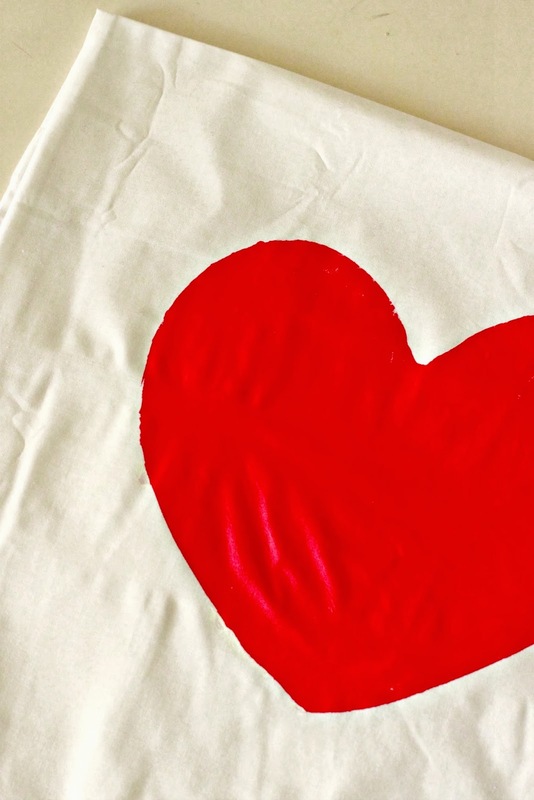 Hope you find this tutorial useful for more than just Valentine's decor or that you pin it for next Valentine's Day. Gotta love Pinterest. 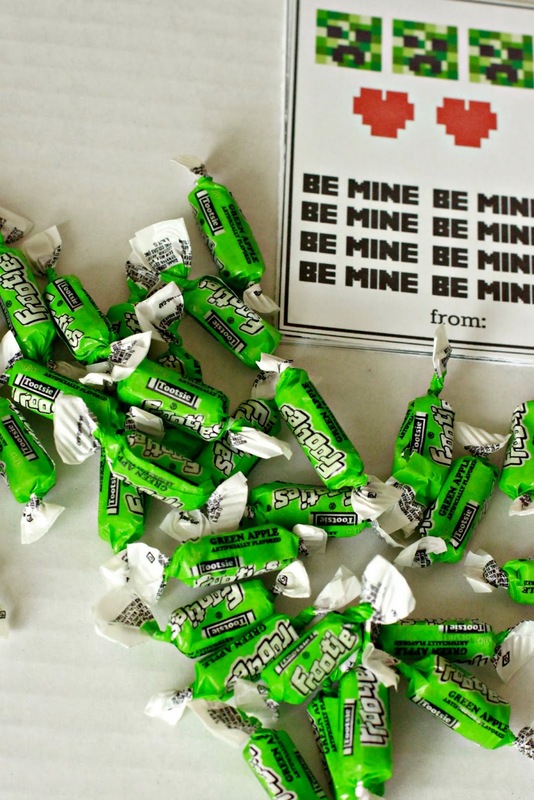 I have one last classroom Valentine printable to share with you before Valentine's Day. 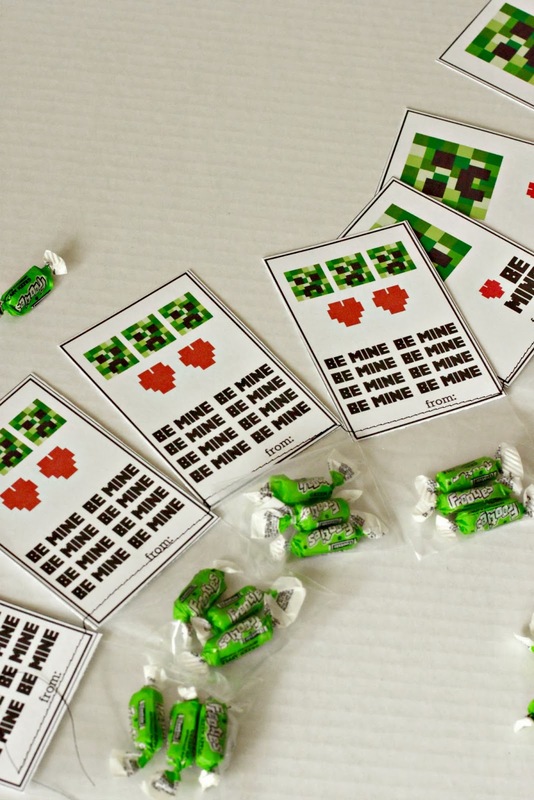 When I made Little Man the Be Mine Minecraft T-shirt for Valentine's Day, I got quite a bit of lip. If you remember, Oldest was not happy that he got the "number sign" shirt, aka the Hashtag shirt and Middle got the "cool" Minecraft one. In order to keep the mutiny at bay, I promised him that I would come up with a "cool" Valentine. 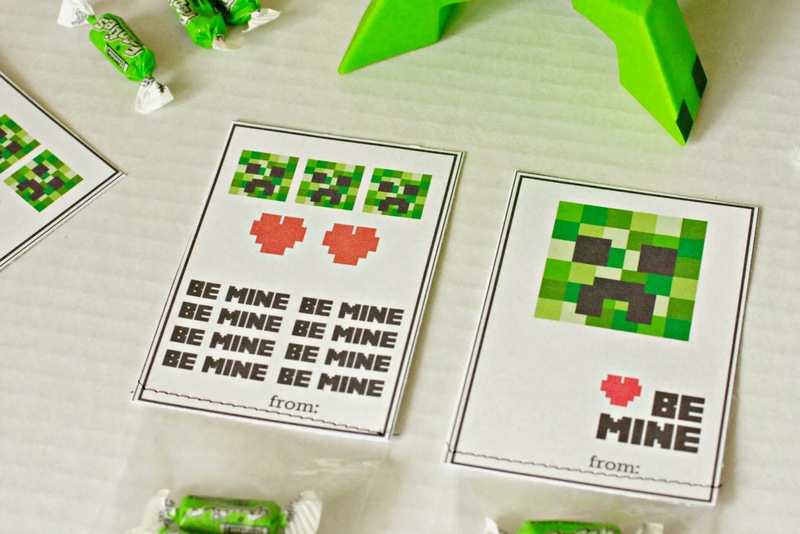 I figured that since I made a Minecraft shirt for one I should make a set of Minecraft Valentines for the other. Less Lip from Oldest: Check. Check. 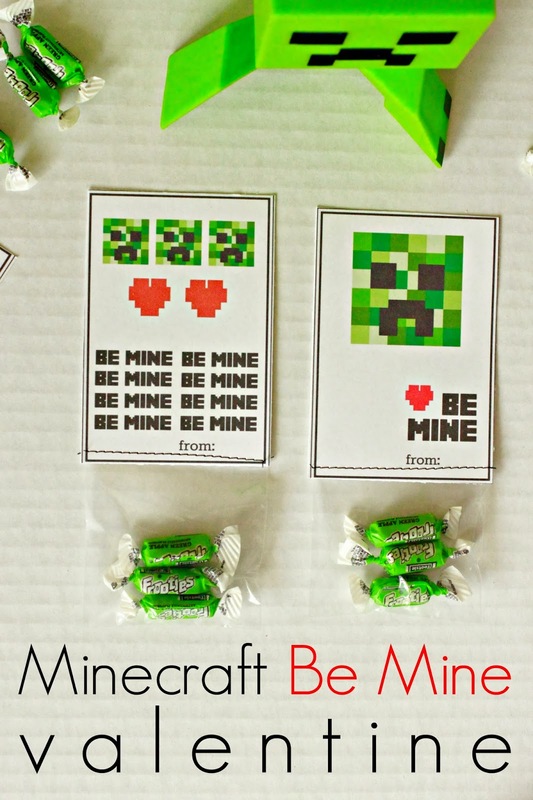 I made both of the Minecraft Valentine's using PicMonkey. First I used PicMonkey to create the actual creeper face. 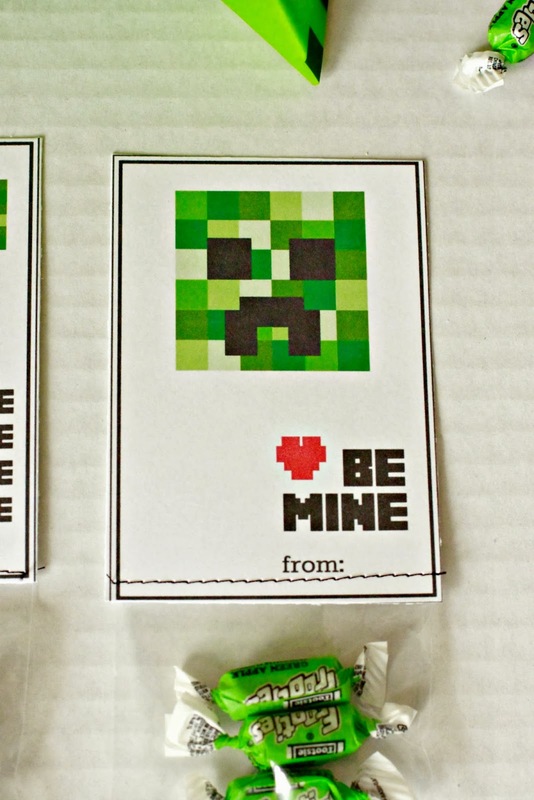 Then I was able to use that image and use it as an overlay for my Minecraft valentine. There are two different valentines just for kicks and giggles. Attach the treat bag either by sewing them on or by stapling them on. 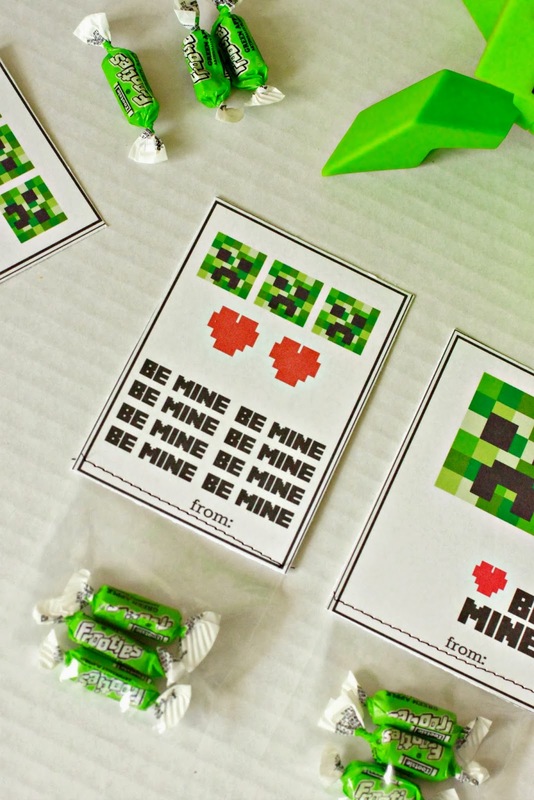 A Minecraft Valentine perfect for any Minecrafter....er...player of Minecraft? You know what I am talking about. 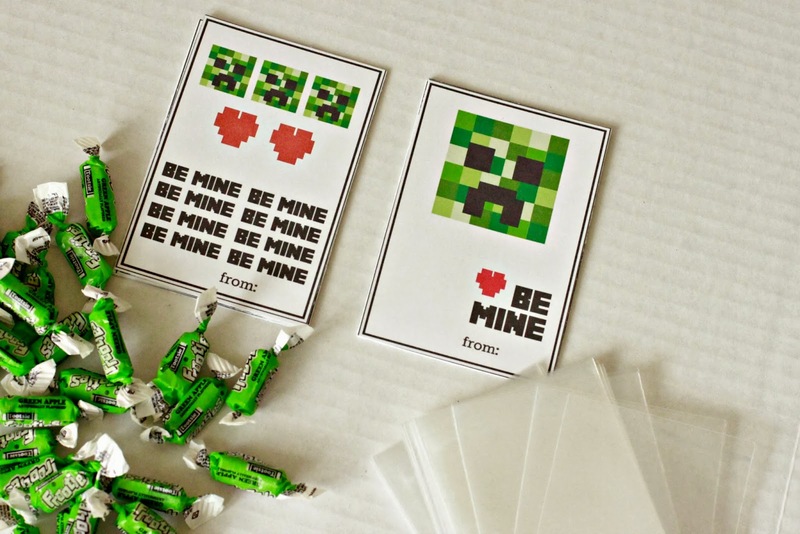 Nothing says I love you like Minecraft, right? My boys' classroom valentine's are officially all done and ready for 2014. Woot! Woot! Winter is a tough old broad. She is also resistant to leave. Long tough winters are especially hard on your skin. 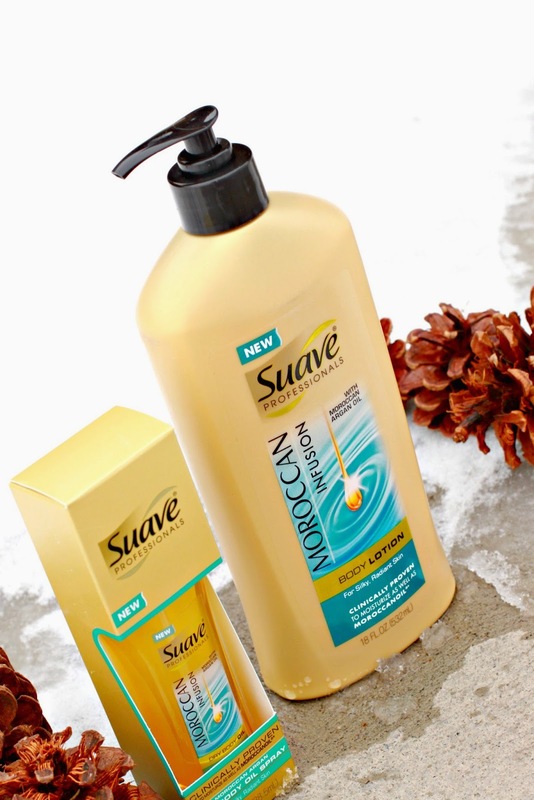 Thanks to Suave Professionals® you can have luxuriously silky and radiant skin even in the grasp of mean old Lady Winter. 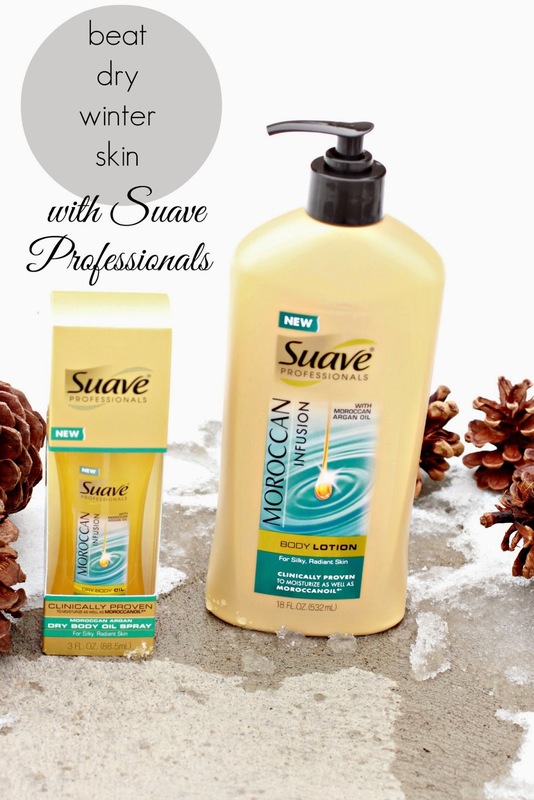 For the first time, Suave® Body Care is launching products in the Suave Professionals® line. Eek. So exciting. This product line is offering women everywhere access to premium quality skincare products. Suave Professionals® Moroccan Infusion Body Care line includes both a body lotion and a Dry Body Oil Spray. Suave Professionals® Moroccan Infusion features a lightweight miracle oil from Morocco known to be rich in nutrients and antioxidants. The NEW Suave Professionals® Moroccan Infusion Body Lotion is a daily moisturizer that absorbs quickly and allows for up 24 hours of radiant skin. The best thing is that this body lotion hydrates without being greasy. The Moroccan Infusion Body Lotion leaves your hands silky soft and smooth, and that silkiness lasts and lasts. Eat that Lady Winter. No dry skin for me. The NEW Suave Professionals® Moroccan Infusion Dry Body Oil Spray has a non-greasy formula that absorbs instantly and seals in crazy long-lasting moisture. The Dry Body Spray is perfect for special occasions because it can give an added radiance and a lovely sheen to your legs. Who doesn't want extra glorious legs while wearing a fancy dress? Both the Body Lotion and the Dry Body Oil Spray have a light, luxurious fragrance. I never thought of a smell as luxurious before, but seriously I felt immediately richer and more pampered as soon as I took a whiff of this lotion and body spray. These premium products are clinically proven to moisturize as well as Moroccanoil®1 and will create beautifully silky, radiant skin. For more information about the Suave Professionals® Moroccan Infusion Body Care products, you can go to their Facebook Page. You can also visit the Suave® Beauty Facebook page to get tips for radiant skin, style advice from celebrity stylist Brad Goreski and enter the "Radiant Wishes" sweepstakes for a chance to win Suave Professionals® Moroccan Infusion products, a spa day, or a trip to Los Angeles. The awesome news is that you can enter a sweepstakes to win a $1,000 Gift Card right here on this old blog by simply letting me known which of the Suave Professionals® Moroccan Infusion Body Care products you would like to try most. 1. Leave a comment telling me which Suave Professionals® Moroccan Infusion Body Care Products you would like to try. The Body Lotion or the Dry Body Oil spray. Trust me that these Suave® Body Care products are amazing. You know I know a good lotion when I use it.